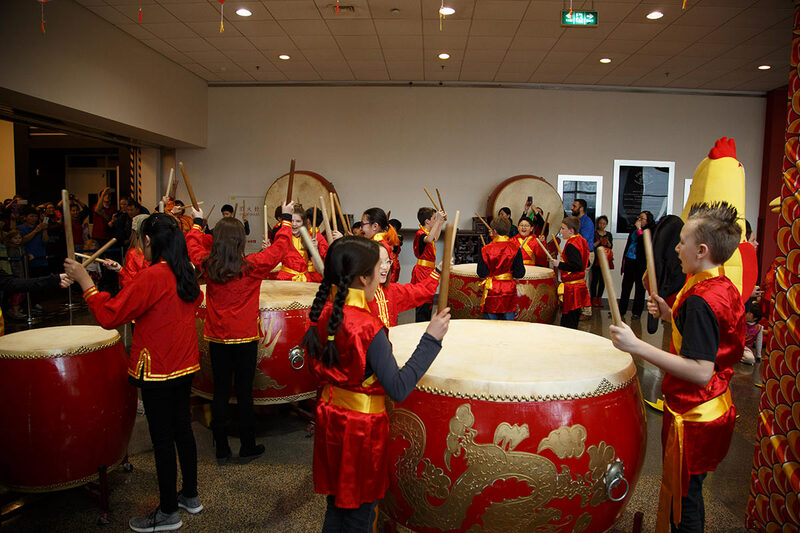 The International School of Beijing's (ISB) new Chinese Language and Culture Center (CLCC) is a consolidation of a number of initiatives that have made ISB's Chinese language program one of the region's best in an international school. In her 14 years at ISB, Grace Zeng has been at the forefront of this movement. As Director of Chinese, she is in charge of a program where Chinese classes are offered school-wide, from pre-K to 12th grade. The school's approach to teaching the language has been widely copied by other schools in the Asia Pacific region. "When we started teaching Chinese as a second language, it was a fairly new thing," says Zeng. "Not many schools had that kind of program. So we developed our own approach here at ISB, and it's been very successful." ISB has become a training base for curriculum leaders at schools throughout the region. The school hosts workshops that include Chinese language class observations and, this year, the 18th Chinese Articulation Workshop and Annual Conference, a large event which ISB inaugurated in 2001. "A lot of schools have come to us for advice on structuring their programs. Schools from Hong Kong, Taiwan, Singapore, Vietnam, all throughout the region have traveled here for workshops, and I think we've had quite an impact," Zeng says. Last year, she took over as the Chinese program coordinator at ISB. Her first goal was to introduce more experiential learning opportunities. She recognized the importance of grounding her students in the context of the culture to give them a better sense of how the language reflects and pulls from China's past. "I found there was a need to re-establish our place in the community, to centralize our resources and add more value to the cultural experiences we try to offer. There are lots of wonderful things happening, but I found that both students and staff were losing contact with the community. I wanted to help build stronger connections, more meaningful connections, and weave them into our curriculum. We can drill language proficiency, but it's not effective unless it's in tandem with a push for cultural proficiency." Zeng's vision for a Chinese Language and Culture Center resonated with ISB's leaders and her idea was given the go-ahead. ISB offers three different paths for Chinese language learning, catering to various levels of proficiency in the language, in order to prepare students for a future where Mandarin language skills will be increasingly important. The first, Chinese as an Additional Language, caters to students with no prior exposure to the language or culture. The goal is to enable students to meet their social needs and function in a Chinese speaking workplace.The second, Advanced Chinese, is for students who have been exposed to the language and culture but need to strengthen their literacy skills. 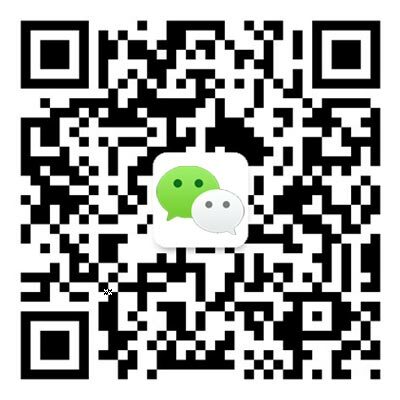 Students work towards communicating effectively and culturally appropriately in the Chinese speaking world in all language modes. The third, Chinese Language and Literature, is for native speakers of Chinese who want to pursue the study of both classic and modern Chinese literature. "We've found that this three-tiered approach works well for us as an international school," Zeng explains. "We're always adapting and trying new strategies, and learning from other schools. And one thing we've learned is that we need to emphasize integration of Chinese language throughout the curriculum if students are going to maximize their success. Because, more so than most, the language and the culture are truly inseparable." Under Zeng's leadership, the school has established the CLCC to help promote and support the vision for Chinese at ISB. This integration of language and cultural proficiency is the primary mission of the CLCC. In its first few months, it's already seen some great successes. "We have a few programs up and running. We just launched our first bilingual magazine, a children's literature and art magazine. We wanted to give our young writers an opportunity to exhibit their work so they can have a real audience," Zeng says. The magazine, Blank, was developed in partnership with InkBeat, a creative arts education enterprise founded by ISB alumnus Simon Shieh. 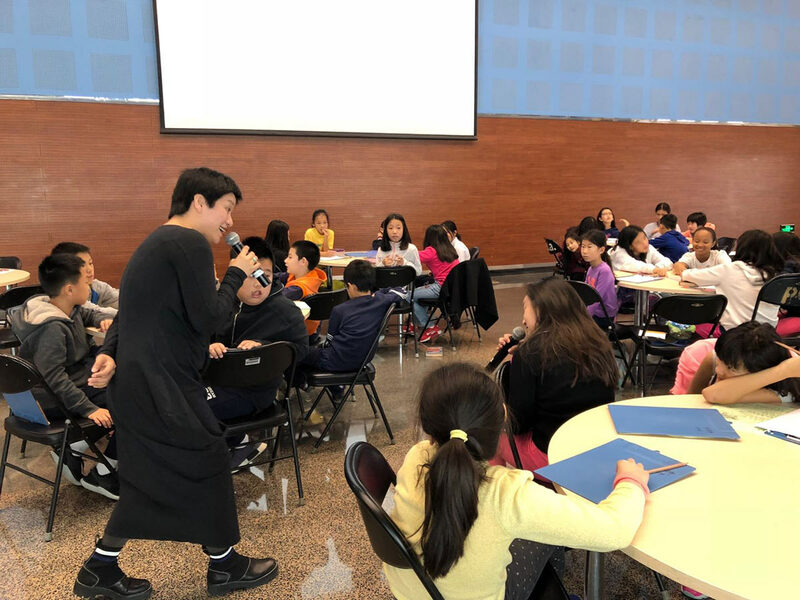 Zeng and Shieh facilitated workshops with Chinese writer Wu Ang in which she helped students understand the importance of detail in writing poetry. "One of our main goals for the CLCC is to invite visiting artists to our classrooms to share their knowledge and expertise of not only their craft, but of Chinese culture," says Zeng. "We were excited to host Wu Ang, and she inspired many of the works that made it into our first edition." Zeng plans to bring in several more local writers to host workshops about their approach to their work. She hopes that by introducing students to different ways of thinking about writing in Chinese, they will be inspired to make their own in-depth explorations of Chinese culture. "In Chinese, the text itself is a cultural product," according to the language instructor. "Since it's character based, the sound and form are often not related. So to understand how powerful our written language can be, our students need a solid understanding of how the language and the text evolved." Zeng has been leading a move further away from the old teaching methods of drilling and repetition, as it doesn't encourage as much critical thinking and inter-disciplinary learning. She wants the process of learning to be meaningful for the students by rooting the lessons in explorations of the culture itself. This term, a High School class of Chinese language students is working on an in-depth exploration of Beijing's Forbidden City. "In the past, we'd just take them on a field trip and that'd be it. But today, our students are doing lots of research on collections in the Forbidden City, guided by their Chinese and Art teachers and the experts from the Forbidden City," Zeng explains. The experience of working with primary sources has inspired them, and they're each developing an artwork based on their research. "A lot of our students are fascinated with the Hall of Clocks and Watches, and they're working on designing their own clocks. They're able to use 3-D printers for some of their creations." The 8th grade language students traveled to Pingyao, the best preserved ancient town in China. They conducted investigations of the town's history, designs, and cultural products. At the end of the unit, they'll work together to create a travelogue magazine of Pingyao. "These experiences are designed to integrate several different disciplines in our curriculum. And at the root of all of this, they're gaining an understanding of the cultural context of the Chinese language." This semester, the CLCC is also offering a program on calligraphy. Zeng's goal is for every student at ISB to have experience with the skill. "I want our students to understand why we are still using handwriting. It's not only to express ideas - it's a reflection of our culture, and it's an art form in itself. It's essential to learning the language, I believe." For the upcoming Chinese New Year, the CLCC will play a central role in planning and hosting the school's celebrations. 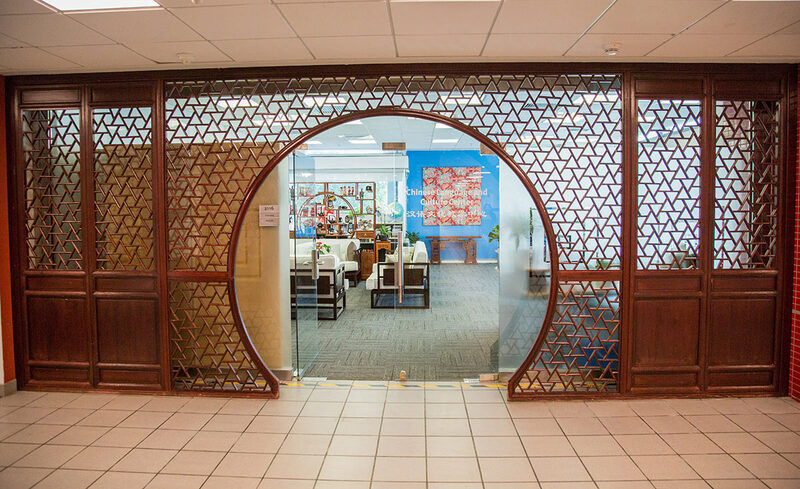 The theme for this year is China Design, and the Center will host age-appropriate programs to help students experience different aspects of Chinese culture. "There's such a big benefit to being in China and having access to all of these cultural organizations," Zeng notes. "We want to bring in people who possess skills that are considered 'intangible cultural heritage' by UNESCO - skills such as woodcarving, embroidery, paper cutting, Peking opera etc. They'll be able to explain the context behind the traditions, as well as to teach our students the basics of the skills themselves. This will be a big part of our New Year celebrations." The school will host renowned Chinese filmmaker Zhang Yimou, to give an interview to ISB's middle and high school students. 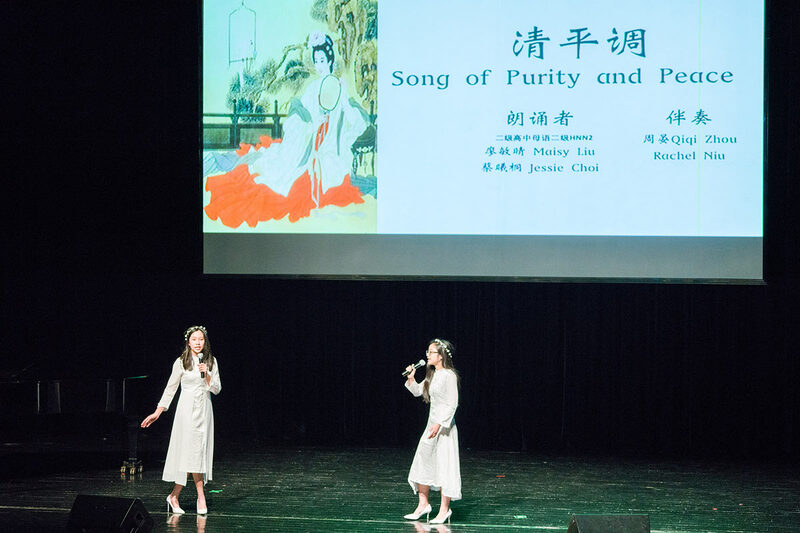 "This event will help to emphasize how Chinese traditions and stories have been modernized, but still maintain their original meaning and context," Zeng says. "The mission is always to promote the culture and to strengthen our instruction of the language through different, more meaningful experiences." As the CLCC gains momentum, these kinds of experiences will have a deep impact on ISB's Chinese language students for years to come.